Memorial Day has come and gone, which means summer is just around the bend. Come get your body beach ready with a glowing bronze tan at Ship Shape Tanning. 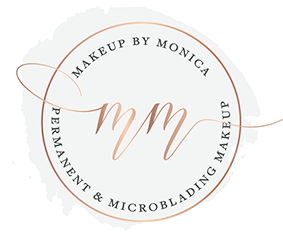 This weekend Makeup by Monica will make a special appearance at their new location in Fisher’s Landing. Ship Shape Tanning moved to the Fisher’s Landing area recently this year. The location provides easy access to other attractions such as Mio Sushi and Twilight Pizza Bistro. Make a day of it and treat yourself to a bronze sunless tanning session followed by a refreshing beverage and appetizer at one of the areas nearby restaurants. Makeup by Monica is happy to support this fantastic local business and would love the opportunity to share the benefits of airbrush tanning. Airbrush tanning provides an alternative to tanning with Ultraviolet light. It is administered by an experienced technician or an automated booth using a tanning solution which is applied as a fine mist. The result is an even tan that develops over time. You can be selective about which areas you want tanned or elect to tan the entire body. An airbrush technician or automated voice will walk you through every step. You get an amazing natural-looking tan. You avoid potentially harmful UV light. Ship Shape Tanning recommends following these steps to ensure the best results. Refrain from using any oil-based products within 24 hours of your airbrush tan. Shave or wax at least 24 hours prior to the airbrush session. Refrain from using lotion, makeup, or deodorant the day of your airbrush tan as they will inhibit the DHA from absorbing into the skin. Shower and moisturize using Norvell’s Amber Sun Body Scrub. Dry skin types are encouraged to use an oil based salt scrub exfoliator 36 to 48 hours prior to their airbrush tan. Apply a quality lip balm such as Norvell, Supre, or Devoted Creations. Wear dark, loose clothing to your appointment. During your sunless spray tan you may wear a dark bathing suit, underwear, or thong (whatever you feel most comfortable in). Do not plan any activities that will cause you to sweat or cause your clothing to rub against your skin for 8-12 hours. Do not bathe or swim for 8-12 hours after your session. Do not use soap for at least 16 hours. Do not use body scrubs, exfoliators, loofahs or harsh soaps for at least 16 hours. Do not apply any lotion until after your first shower. After your first shower, apply only a high quality lotion such as Norvell or Supre Moisturizer twice a day. Maintain your glowing tan by repeating your session every 7 to 10 days. Ship Shape Tanning prides themselves on their clean facilities and high quality equipment. Airbrush tan technicians are professional and friendly and will make certain you leave feeling confident and looking your best. Ship Shape Tanning is open Monday – Friday from 9 am to 8:30 pm, Saturday 10 am to 7 pm, and Sunday 11 am to 6 pm.